If you thought sipping on cocktails by the pool at your resort was the ultimate tropical happy hour, think again. 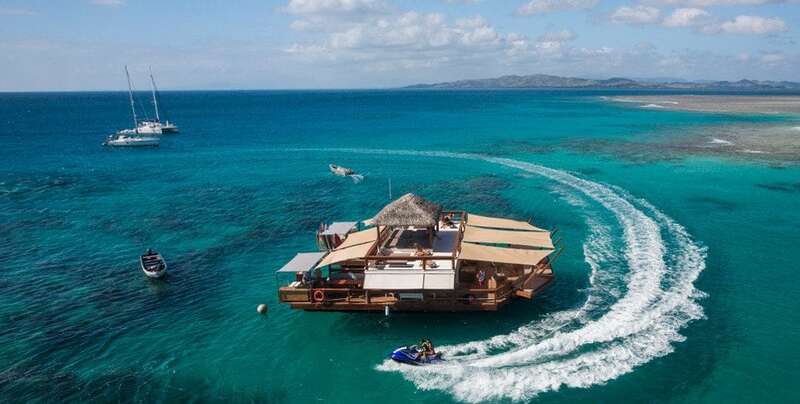 Welcome to Cloud 9 – an incredible floating two-story bar in the middle of the Mamanuca Islands in Fiji. 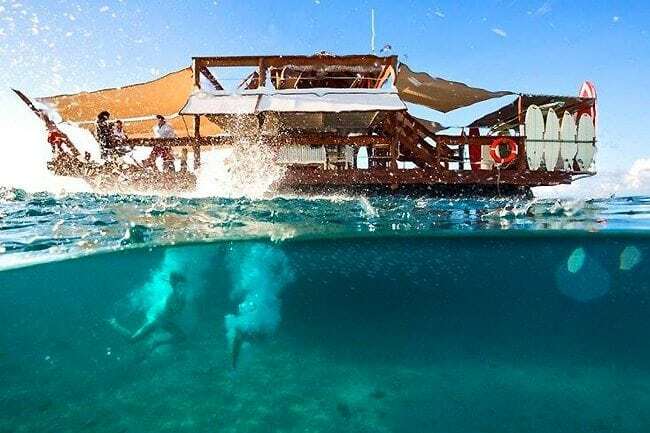 Surrounded by clear, aqua water that you can dive into at anytime, Cloud 9 will have you wishing it were your local drinking hole. With its chilled out bar vibe, authentic wood-fired Italian pizza oven, panoramic island views and access to epic water toys like kayaks, surfboards, snorkeling gear and jet skis, Cloud 9 is the kind of place holidays are based around. This tropical paradise accommodates up to 100 island holiday goers at a time, giving it an exclusive, private bar kind of feel. 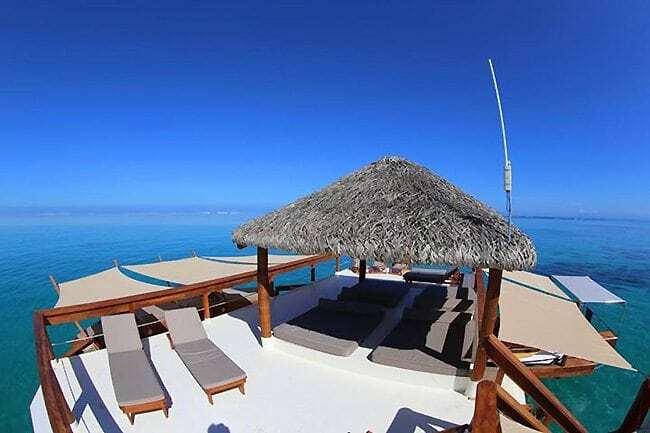 If you’d like the biggest decision of your day to be whether to lie on a sun lounge or a day bed while sipping on ice-cold deliciousness from a coconut with a piece of pizza in your hand, then Cloud 9 in Fiji needs to be moved to the top of your travel bucket list. Prepare to have your tropical mind blown and take a virtual tour of Cloud 9. 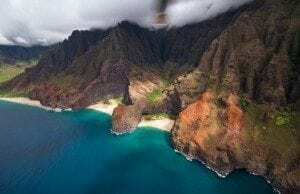 You can get to Cloud 9 from both the Mamanuca Islands and the mainland (Nadi) by catching a boat transfer from your resort. 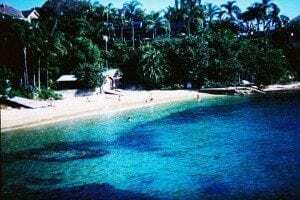 If you are staying on the mainland, boat transfers depart from Port Denarau, Wailoaloa Beach and Vuda Marina. 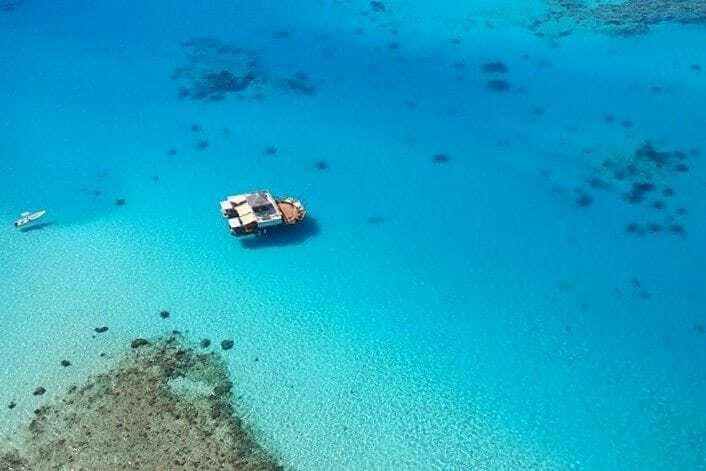 Get in touch with Cloud 9 directly to book a boat to this floating paradise. Details here.